Vibrant violet blush which doesn't blend down to a warm shade. 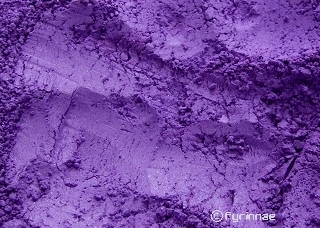 It will rub down to a blue-violet hue, but with gentle blending or heavier application will remain more purple. Nearly matte, deeper and cooler than Seduce. Often requested shade, new in 5/2014. Lip-Safe and eye-safe.